The Series 4000 Cash Drawer includes dual media slots and coin roll storage in the same cubic footprint as the popular APG Standard Series 4000 cash drawers (18" x 16.7" x 4.2"). The dual media slots are beveled for smooth media insertion, and the storage space is separated for easier reconciliation. Industrial grade steel ball bearing slides, a robust latch mechanism, and a proven four function lock assembly ensure that Series 4000 Cash Drawers will continue the tradition of providing millions of smooth, trouble-free cycles. 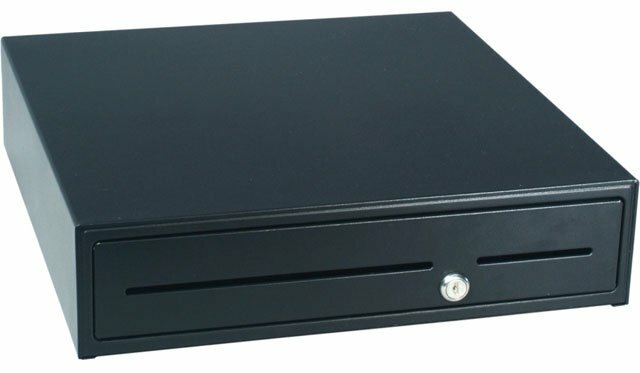 The APG JB484A-BL1816-C-A3 is also known as APG Cash Drawer	APG-JB484ABL1816C-A3	or JB484ABL1816CA3	.